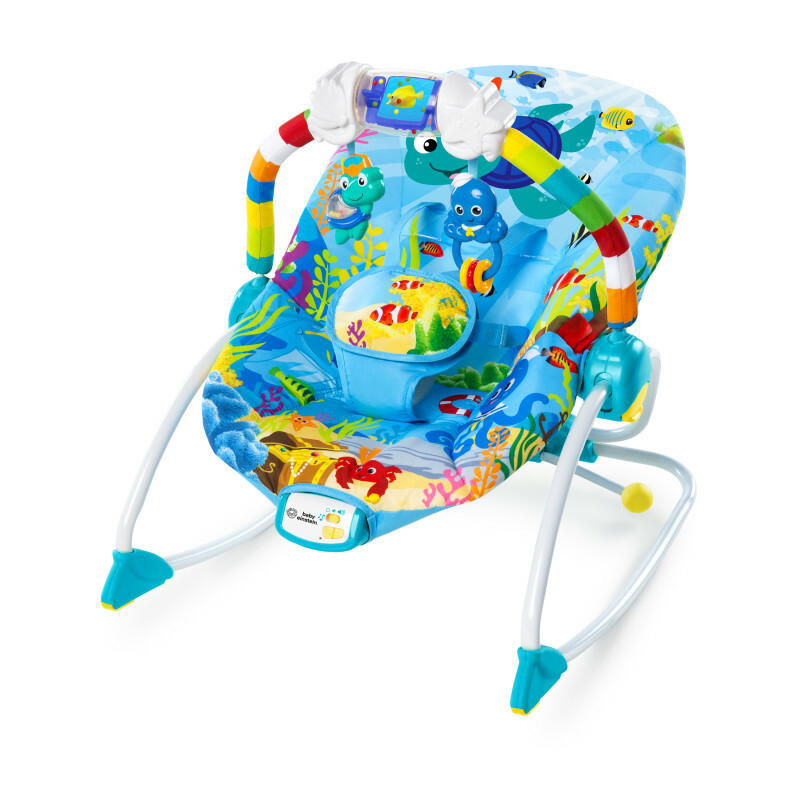 Ocean Adventure Rocker is rated 1.4 out of 5 by 5. Dimension (in) 28" x 34" x 24"
Rated 1 out of 5 by Benn from Vibration broke within 4 months (common issue) The vibration on the unit broke within 3-4 months and there is no replacement part available. Customer service did not respond upon initial contact and lost track with the newborn baby. After contacting again when expecting new baby, no replacement or warranty available. The chair itself is solid, but the components for the vibration are bad. Not worth the money for a musical chair with no vibration. Many reviews with the same issue. Do not buy.